Cytokinins are a class of hormones mainly found in plants. They regulate plant growth and development and delay the ageing process, for example. Moreover, current studies show that cytokinins also play a vital role when the plant fights pathogens by making it resistant to specific disease-causing agents. But the doings of cytokinins are not limited to the plant kingdom: The hormones also occur in animal tissues as well as in bacteria, fungi and algae. Bioinformatics scientists from the University of Würzburg have recently uncovered new details of how cytokinins evolve that challenge previous assumptions. The study involved Professor Thomas Dandekar, who holds the Chair of Bioinformatics, and his co-workers Dr. Muhammad Naseem and Dr. Elena Bencurova. They published their findings in the current issue of the journal Trends in Biochemical Sciences. Previously, the enzymes which activate cytokinins were thought to belong to the class of lysine decarboxylases. But that is not the case: "Our research has shown beyond doubt that these enzymes do not exhibit any decarboxylase activity. They use a different biochemical channel to activate cytokinins," Thomas Dandekar explains. Accordingly, he believes that these annotations now need to be removed from the relevant databases. 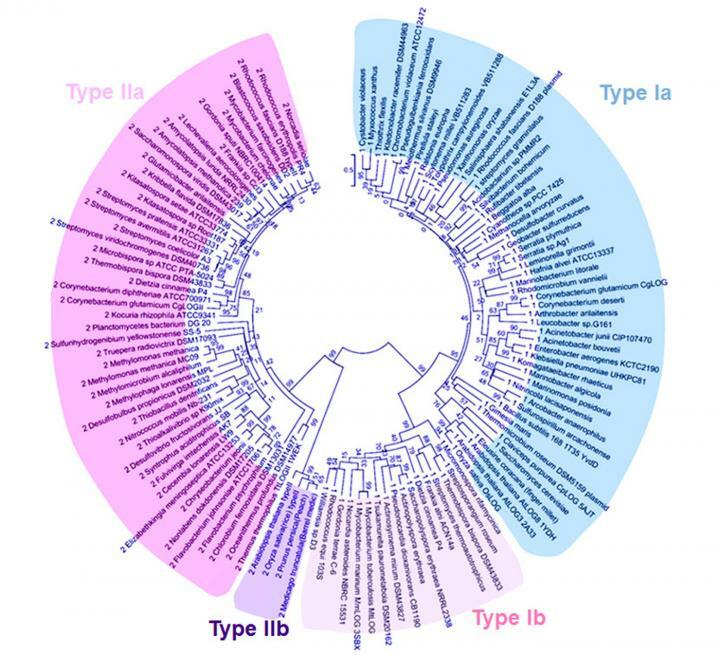 Elena Bencurova examined 123 proteins from diverse organisms for this study, subjecting their proteins to detailed motif analyses, or as she puts it, performed a protein sequence analysis. She was interested in the enzymes that activate the cytokinins – the so-called "lonely guy enzymes" (LOG). Thomas Dandekar explains where the unusual name comes from: "Flowers of a rice mutant only had a stamen but no pistil. This mutation of lonely stamens was therefore baptised 'lonely guy'." The young scientist looked for patterns in these amino acid sequences that are characteristic of lysine decarboxylases. But she wasn't able to spot any. Instead, Elena Bencurova identified a pattern that corresponds to the LOG enzymes and decoded four subclasses in the process. What sounds like a discovery that is relevant for a small group of specialists only actually has far-reaching consequences. "In sum, our latest findings now allow us to get a better understanding of this universal communication mechanism of bacteria, plants and animals," says Thomas Dandekar. "Dr. Muhammad Naseem from our working group significantly contributed to this success. He has been a professor at the Zayed University in Abu Dhabi since January because of his system biological publications on cytokinins. This opens up various fields of applications – from plants to humans." "Human skin cells understand the language of cytokinins," the biochemist says. As an ingredient in skin creams, they could thus protect the cells against harmful influences and slow down the ageing process. However, separate studies on the subject showed that it is all about the right dosage: "In low doses, cytokinins protect the cells. High levels in contrast are harmful," says Dandekar. Cytokinins have an indirect effect on humans, for example when they are active in the pathogens that cause tuberculosis. They enable the pathogens to manipulate their environment, the respiratory epithelium, in a way that makes it easier for the bacteria to settle and more difficult for the immune system or drugs to fight them (findings by Samanovic et al., Mol Cell 2015). When it comes to breeding plants, the knowledge on the universal cytokinin language of Naseem, Dandekar and their colleagues can contribute to warning the plants more efficiently against pathogens and activating their defence mechanisms as demonstrated in dedicated studies on thale cress. "Cytokinins speak a universal hormone language that is understood by many living beings and produces the most diverse results," Thomas Dandekar sums up the central finding of the bioinformatics overview now published. However, a lot of research is still necessary until all details of this language have been understood. Accordingly, the current research result is only "a small step forward within a much bigger context," Elena Bencurova adds. Albeit, a step that creates the foundations for further insights.